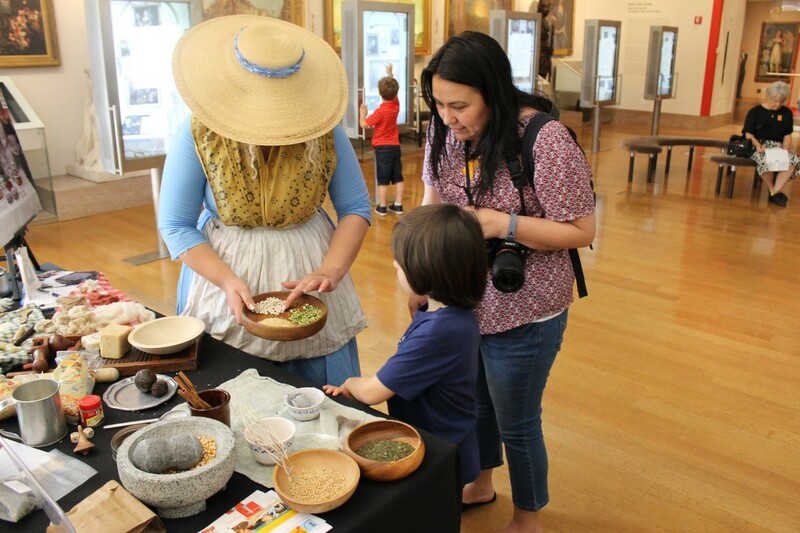 It’s the Summer of Hamilton at the New-York Historical Society, and we are celebrating every weekend with Living History Summer! This weekend, we are welcoming back one of our most frequent and dedicated living historians, Dakota, and her reenacting troop, the 3rd New Jersey Regiment. Dakota grew up in New Jersey and enjoys learning about its past by reading her favorite book, Thomas Fleming’s The Forgotten Victory: The Battle for New Jersey—1780. Fortunately for us, she has always been just a few minutes away from Manhattan, so making appearances at the Museum to give back to our city’s culture and history has been easy for her. We spoke with Dakota this week to learn a little bit more about what it’s like to reenact and be a living historian. DiMenna Children’s History Museum: You have been a living historian at the New-York Historical Society for a while now! When did you become a living historian? Dakota frequently conducts living history programs with her aunt, Mary Diaman (center). DCHM: What is your favorite part of being a living historian? What has interested you most about it? Dakota: One of my favorite parts of living history is always having opportunities to learn something new each time. Whether it’s from another historian, a museum or historic site, or even a visitor, there is always something to learn. It is such a great opportunity to really experience what life was like back then. 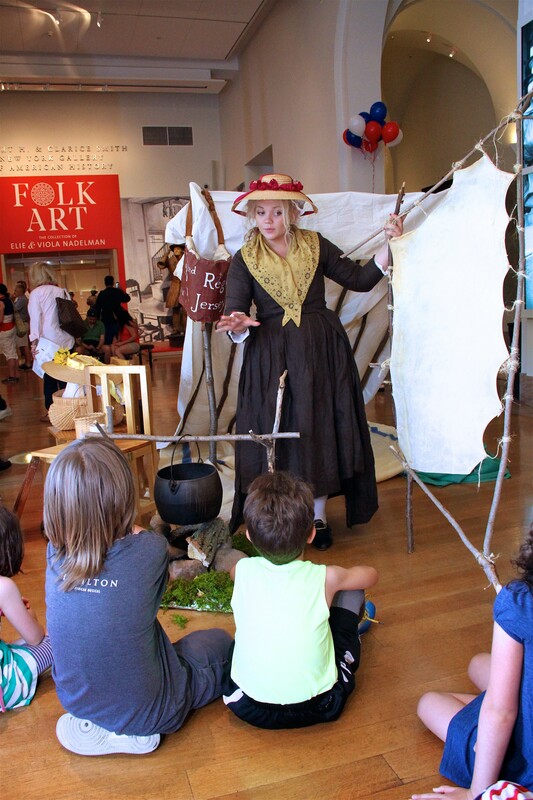 Under the shade of her hat, Dakota prepared 18th century cooking ingredients over Memorial Day Weekend. DCHM: We’ve seen you in different dresses at different living history programs. 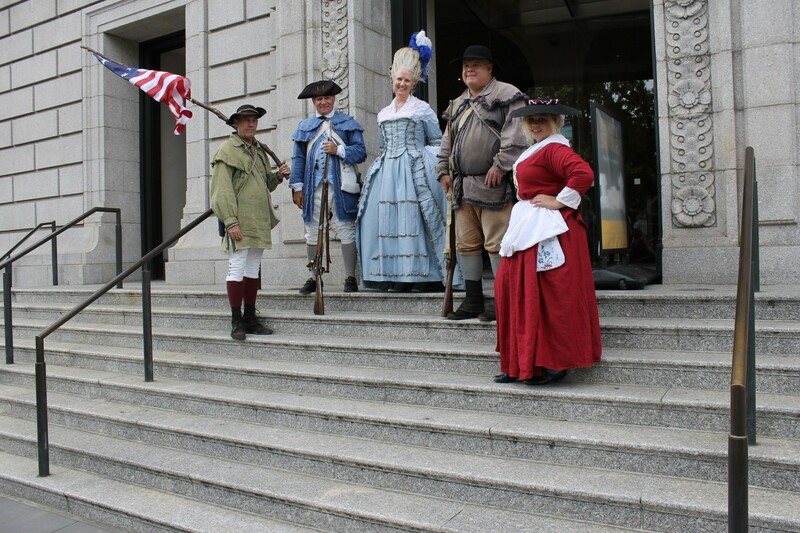 This weekend, who will you be portraying from the 18th century and how will you portray her? Dakota: This weekend I will be portraying a typical camp follower during the American Revolution. I will be wearing a dark colored gown and petticoat that would have been worn for activities such as dying or cooking over a live fire. Dakota shared her campfire and fabric arts skills with families at this year’s Fourth of July Celebration. DCHM: One of the most common questions we get is “how do I join?” Aside from joining a great unit like the 3rd New Jersey Regiment, what advice would you give to someone interested in becoming a living historian? Dakota: I think one piece of advice I would give is to really embrace the different experiences that being a living historian offers. From cooking over live fires to camping out under the stars to getting a behind-the-scenes look at historic sites, every aspect is enjoyable. Another thing I would offer would be to take whatever modern day hobby you may have and find the historical counterpart. For me, I love fashion and cooking, so as a living historian, it made sense to learn how to cook historic recipes and dye cloth from natural materials. 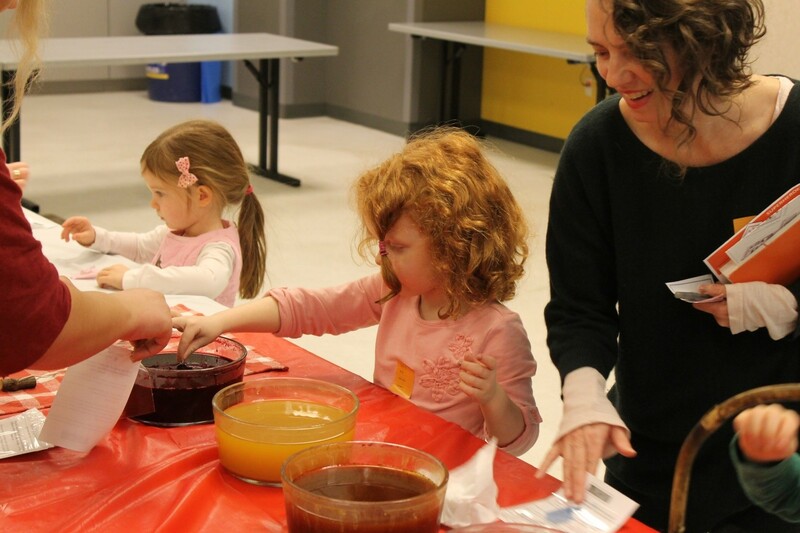 Dakota helped a history detective use a natural, berry-based 18th century dye recipe to celebrate Presidents’ Day. We so appreciate that Dakota shared a little bit about her practice with us! She is currently studying historical education in college, and we can’t wait for her to share her teaching talents at the Museum this weekend. Stop by and meet her as part of our Living History Summer!